Youth Health World was a website I made in my senior year of high school. The website's target audience was teenagers in China, with an aim to promote healthy lifestyles and habits. 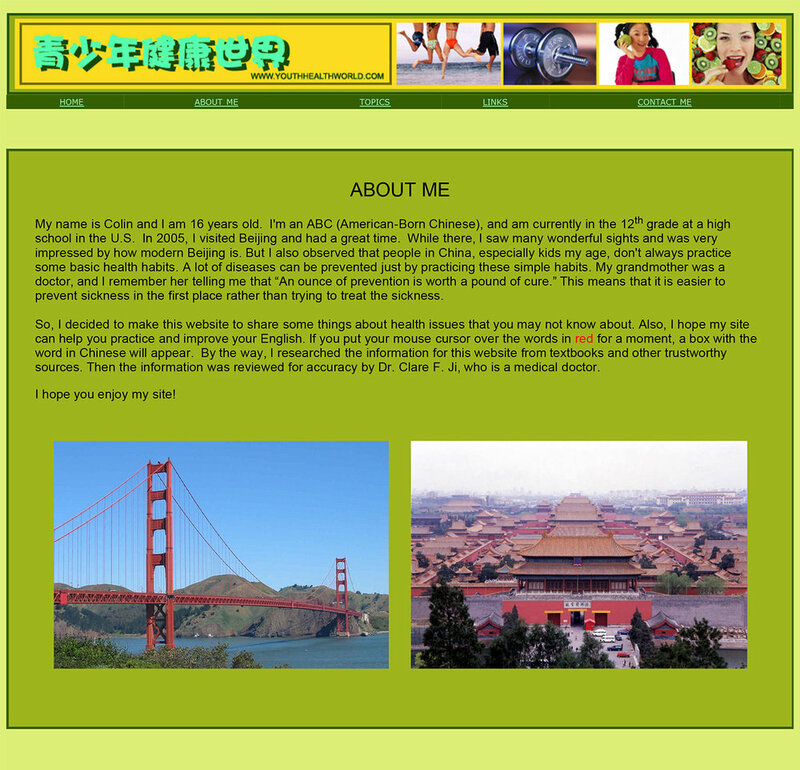 The website also was designed to be a way for visitors to learn and practice English. When hovered over, words and phrases highlighted in red would pop up with the Chinese translation. My family and I had recently returned from a trip to China and the two biggest observations we had were the lack of knowledge about and emphasis on basic healthy habits and the immense popularity and desire of young Chinese people to learn English. The project was a way for me to explore the two fields my parents worked in while also exploring my interest in web design. My mother's background in medicine and health education, and my father's background in graphic design were both utilized in designing and creating the content of the website.